Police have appealed for public help in tracing vandals who smashed a window at a Borders swimming pool forcing it to close for over a week. 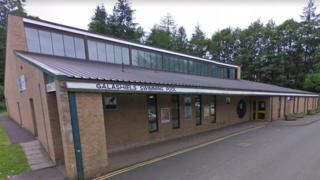 The incident happened at the site in Galashiels over the weekend of 7 and 8 October. It had to be shut for over a week for the pool to be drained, cleaned and refilled. It has now reopened. PC Alastair MacRae said anyone who could help identify the culprits should contact police immediately. "This reckless act of destruction resulted in not only a loss of the facility for regular users and club members, but also a large financial loss to Live Borders, which is a charitable organisation that runs the facility," he added.